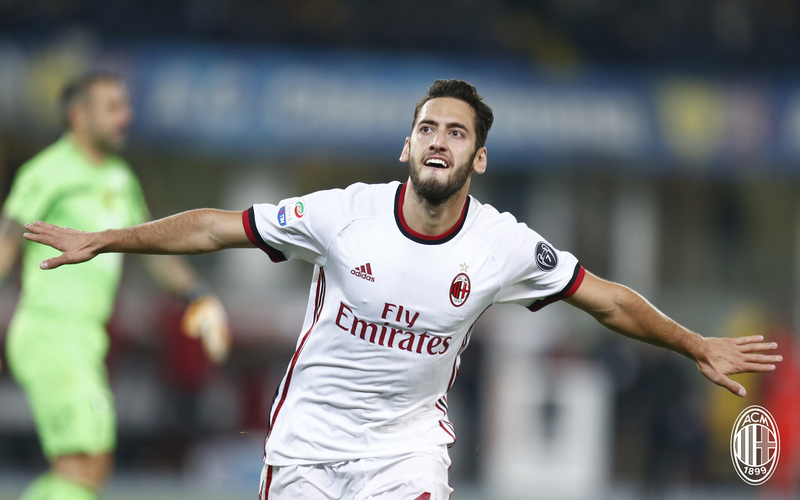 Fans have been largely disappointed with the performances of Hakan Calhanoglu since he came to Milan. I don’t know why, three goals and four assists in all competitions at this point in the season is great for a newcomer settling into the team. We also knew he was coming off of a four match ban and would perhaps take longer to reach optimal levels than the other players. But how much did we really know about the troubled Hakan Calhanoglu? Will he continue to fly higher at Milan? On the last podcast, we discussed Calhanoglu’s issues both on and off the pitch. That conversation was inspired by the news on Friday that he had been acquitted of charges in Turkey of threatening a woman and forcing her to have an abortion after having extramarital relations with her in 2014. Not only was he acquitted of all charges, but the woman was sentenced to community service for lying and for her attempts to defame him. On the pitch, that translated to a breakout performance on Saturday. Which makes perfect sense, who wouldn’t relax and perform better at their job after having such an awful weight removed from their shoulders? But that’s not the first time Calhanoglu has seen controversy. As I mentioned, he served a four-month ban beginning last February. That ban was because while he was a young player at Karlsruher, the Turkish club Trabzonspor came calling. They apparently gave him €100.000 as part of an unofficial agreement to transfer to the club. But instead of fulfilling that agreement, he renewed with Karlsruher. And kept the cash. Once the issue came to FIFA’s attention, he was forced to pay back the €100.000 and sentenced to a four-month ban. Granted, he was young, but that whole mess wasn’t smart, and cost him four months on the pitch at a time in his career that he should have been playing brilliant football and developing more consistency. Luckily for him, Fassone and Mirabelli realized what a great opportunity they had to grab him and sign him for Milan coming off of that ban. But the accompanying physical fitness has played a part in his slower acclimation to Milan and impaired his further success on the pitch. After not playing for four months and also transferring to a new club, it’s amazing he’s done as well as he has. Particularly when you consider the emotional issues with the court case in Turkey that he was dealing with on top of everything else. Earlier in the season, Montella’s comments had implied not only a lack of physical fitness, but also a possible mental fragility or other similar concerns. Whether that was just the stress of the aforementioned issues or something more, it is hard to say. But he also has a history of reported psychological health impacting his ability to play. When he was at Hamburger SV, there were rumors he wanted to leave. For those rumors, the fans abused him and even vandalized his car. He turned up with a note from a psychologist excusing him from playing for four weeks due to the stress. The management took this issue very seriously, given that there have been other Bundesliga players who ended up committing suicide in the past, and they granted him the medical leave. However when the four weeks was up, he had another note for another four weeks. Then it was the transfer window, and he did in fact sign for rivals Bayer Leverkusen. And magically, upon his transfer, he was suddenly mentally and physically fit to play, which further angered the Hamburger SV organization and fans. There was a little more involved to his controversial time there, including the Karlsruher sporting director who sold Calhanoglu to Hamburger SV and subsequently was hired by Hamburger, etc. But despite the convenience and timing, what if he was actually having mental issues? I ask that question based on the fact that Montella implied he had more than physical fitness issues. Mental health is every bit as important as physical health, and like any physical health issue, players should be protected and given the best treatment available for their condition. I truly hope that if this is in fact the case that Milan will do everything in their power to protect not only his health, but also him as a player and a person. 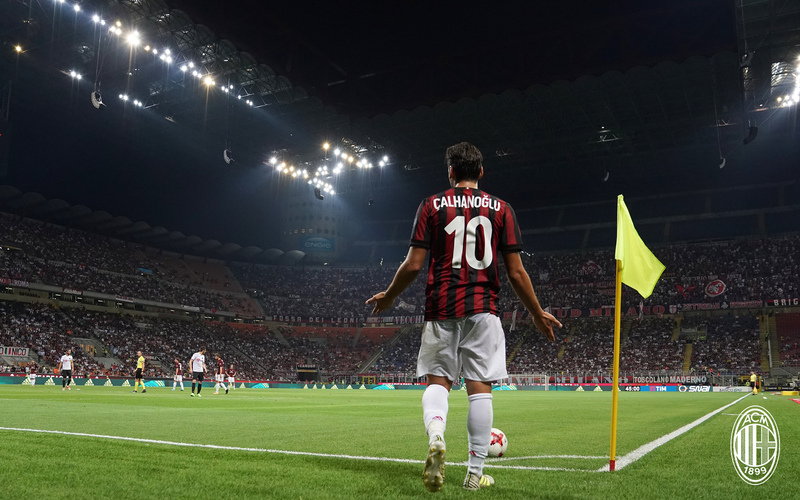 Despite his troubled past and the concerns of his physical and mental fitness, I absolutely love Calhanoglu. He is an incredibly talented player who is very creative, too. Milan have been lacking a player of his caliber for so long, and his purchase was clearly very intentional to the rebuilding of our team. He is a very key player, absolutely worthy of the number ten jersey, and I believe could be worth his weight in gold for us. Selfishly, I’ve been so starved for beautiful football in the Milan jersey for so long, I desperately want him to flourish at the club now and for years to come. However, that is not a guarantee. Not only does he have to get and keep his act together and be willing to fight for his starting spot and also want to stay at the club. He also needs the support of the fans, the unlikely benevolence of the media, and the 100% backing of the club. At the tender age of 23, he has seen more controversy than some players see their whole careers. But he has also shown brilliance that other footballers never show, too. Sometimes those who are the most brilliant also have the most troubles that seem to enshroud them. But with the backing and support of everyone, he could become a star, a world class player. Or he could tragically crash and burn. It’s very unlikely that he would just slip away into quiet mediocrity. Such is the blessing/curse of the troubled Hakan Calhanoglu.